In the second of my series of posts on boots, we’re concentrating on one of my favourite styles of shoe: the slip-on ankle boot. 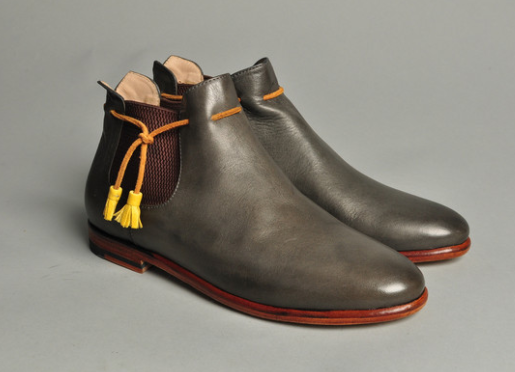 Not limited to Chelsea boots alone, these shoes always look slick and stylish, and I LOVE their easy nature with their lack of laces. I team mine with skinny turned up jeans and – in a new turn of events that goes against all my usual rules of short people not wearing ankle boots with below-knee skirts – below-knee skirts. This first pair are from a brand I have been drooling over since I discovered them a few weeks ago, Northern Cobbler (how had they escaped my notice thus far?!). Oh, Northern Cobbler! You will ruin me! You have even gone to the trouble of styling your shoes with my own wardrobe! I want to buy EVERYTHING! 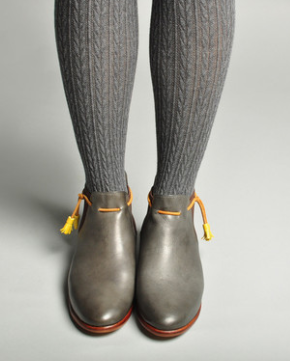 Most of all though, I want to buy these splendid grey boots with yellow tassels. They will be mine! One of my favourite brands for clothing as well as shoes is Folk. The designs always have quirky details like different coloured buttons or stitching, and its shoes are really cool and comfortable (I lived in my white moccasin boots this spring which against all odds, survived brilliantly in the rain). These boots are classic but still have that interesting feature with the way the leather is cut. I think they’d look great with a winter floral tea dress and some thick grey tights. OK, before you shout at me at these two pairs being quite expensive, here’s a much more affordable pair. And they even have leather uppers! 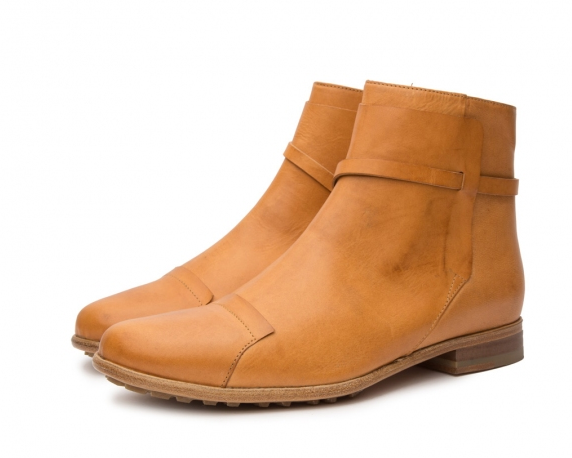 ASOS is always a great place to pick up stylish ankle boots and this season is no exception. I like to filter my search down to the ASOS own brand as I think the design is really strong. 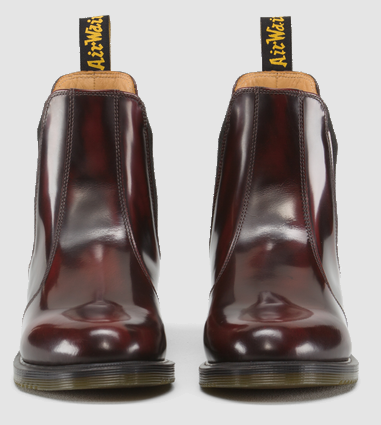 Last, and by no means least, one of the most reliable brands in the world: Dr Martens. 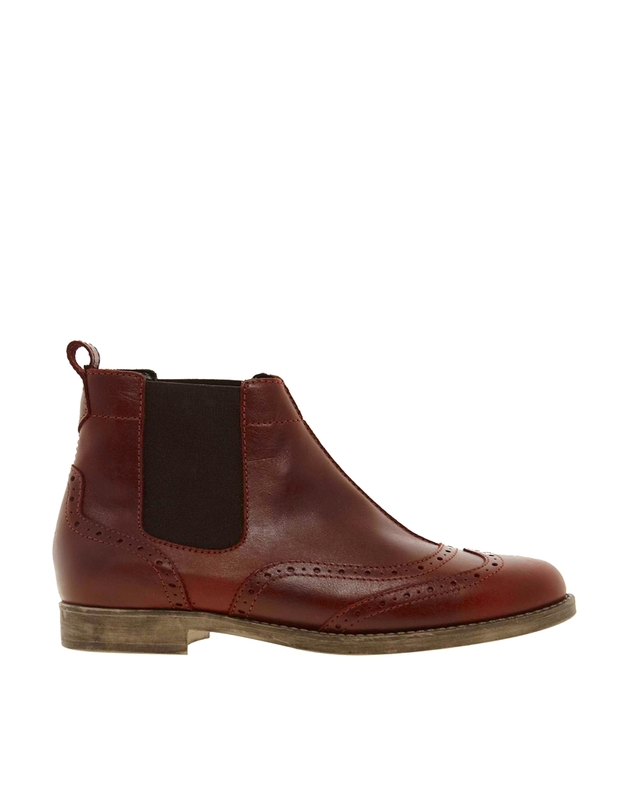 I’ve seen a few men sporting these Chelsea boots but as yet, no women, which I can’t understand as they are smart and shiny as a chestnut. They are over £100 but with this brand, you know they will last you decades. That’s interesting to hear. I too have a very old pair (from 1994) but also a new pair that have faired well so far. But then I do a lot of shoe rotation! Anyway, sorry to hear about your bad experience.